It is time to define evangelical voters as a hate group. People trust religious leaders to be honest and moral, and when that is gone little influence remains. Evangelicals don’t know it yet but their complicity with Trump just killed them. Where did Trump’s evangelicals come from? : Children born into households that isolate them in homeschooling and church schools then send them to institutions like Bob Jones or Liberty U or Wheaton so identity is cemented and they carry forward the fundamentalist religious supremacy crusade. 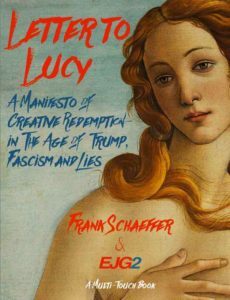 The Bible Trump’s evangelicals quote sanctifies humanity’s moral infancy idolizing the worldview of the Iron Age, leaving believers susceptible to justifying all manner of Trump’s evil in the name of God. Face it: American Evangelicals are the Number 1 threat to democracy. When one treats the Bible as the literally perfect word of God it isn’t hard to find support for the ugly list racist, Christian-Zionist, xenophobic magical thinking that now darkens the Trumped evangelical brand. It’s time to say it: Evangelicals are a threat to the USA. Evangelical religion has made evangelical leaders and ordinary Bible-believers susceptible to courtship by Trump’s authoritarian, bigoted, sexist, tribal, anti-intellectual greed-mongers who dangle the carrot of theocracy. 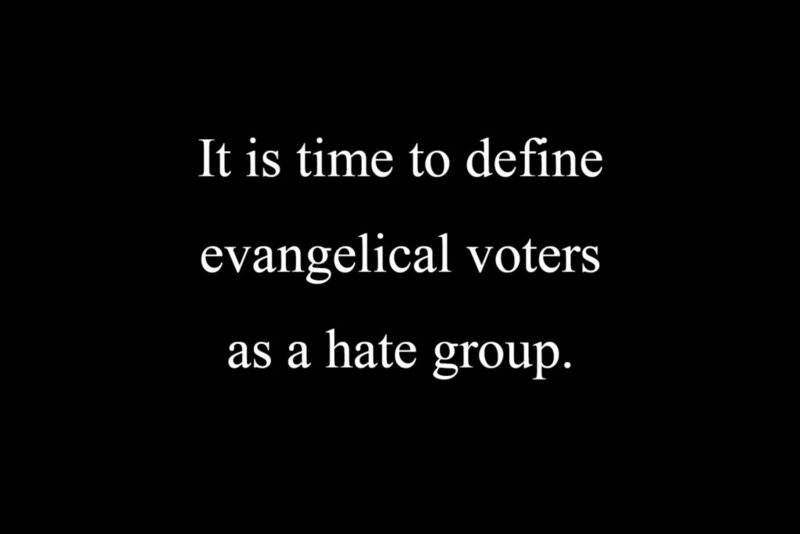 It is time to define evangelical voters as a hate group. A Trump hat is a symbol of hate: the 30 second clip or the one hour version tell the same story. 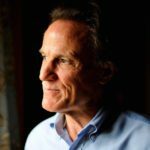 Thank you so much, Mr. Schaeffer, I really thank God for people like you who keep the moral dignity and spiritual principles in the midst of these horrible times of chaos and uncertainty. Jesus is just an eternal life insurance policy to them. Get out of Hell free card. 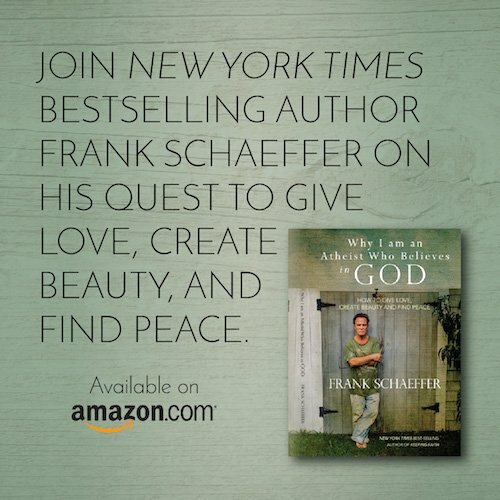 The war has come home Frank as war abroad always lowers the morals of the home society. However, demographics will rule America’s future and they rally around the strange orange man because they have nothing else as reality collapses their world view. Look at the mid terms? And look at the Evangelical churches and how the young have left in droves as they are sanctuarys for boomer wingnuts. Yes, I am rallying the troops to redouble their efforts as victory is ours long term! Well can you tell? As I am so very hopeful for America’s future?